Welcome, and thanks for visiting KickBoxingGuide.com . We invite you to come along with us to learn and perfect the art of kickboxing . You have now begun to take the first part on your journey to becoming a kick boxer, by visiting our website. 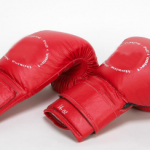 We will guide and instruct you through the different aspects of kickboxing, and will insure you that you know everything that you need to know about this sport. Remember that as with learning anything new, things will appear to be much harder at the start. Try to keep motivated and remember to practice, practice and then practice some more. One important tool in staying motivated, will be tracking your progress. It is worth it to have a little notebook for tracking your training. Note your performance, as well as what you have done. 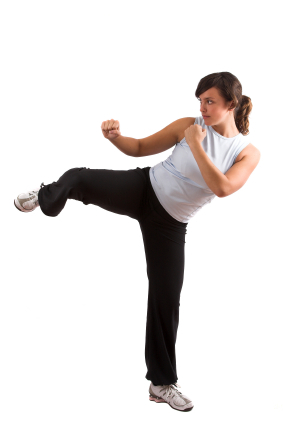 Whether you are learning kickboxing as a form of self-defense, to get fit or to compete you will find plenty of resources to keep you busy on this website. 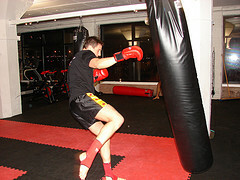 You will also be able to buy kickboxing equipment such as gloves, pants and much much more. We understand that top quality is a need for all up coming sport stars, and all items in our shop confirm to international regulations. Kickboxing is a great sport for both young and old. If you are not into sparing, it is still possible to take part in the sport. Kickboxing is one of the best sports for an aerobic training.By using your upper body strength and your legs, every aspect of your body is pushed to it’s limits.